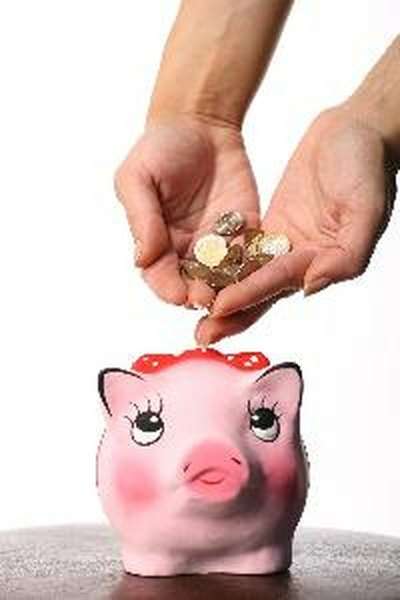 Rolling over an IRA is like changing piggybanks. An SEP or "simplified employee pension" is an individual retirement arrangement favored by small businesses and sole proprietors as a way to build retirement benefits. An employer, or sole owner, creates an SEP and opens an IRA for each qualified employee. The employer makes all contributions, up to $50,000 or 25 percent of employee compensation, as of 2012. An SEP can be converted without penalty into another retirement account, except a Roth IRA. An SEP builds retirement income tax-free until it is withdrawn. An SEP generally is subject to the same withdrawal rules as a traditional IRA, with penalties for distributions before age 59 1/2 except in cases of hardship. SEPs, however, can be rolled over or transferred into another tax-deferred retirement account without any penalty. The Internal Revenue Service permits tax-free rollovers of SEP accounts to another SEP IRA, a traditional IRA or any pretax retirement plan, like a 401(k) for businesses, a 403(b) for nonprofit organizations or a 457(b) for government employees. Both the SEP plan and the receiving plan, however, must have provisions allowing rollovers. Some business plans do not allow them. SEPs can be rolled into a Roth IRA but the money transferred has to be reported as taxable income since an SEP is tax-deferred and a Roth requires contributions to be taxed before they are made. This can be a large sum in many cases and usually makes such rollovers impractical. The IRS does not allow SEP rollovers into SIMPLE IRAs or Roth 401(k) and 403(b) plans. An SEP account holder can roll over the entire amount or only a portion. Full rollovers often are done when an employee changes jobs or when an employer terminates an SEP plan, but can also be done to alter investment options. Partial rollovers allow some of the funds to be put into other investments not included in the SEP plan. Rollovers can be direct, with the SEP trustee sending money directly to the new account, or indirect, with a check issued to the account holder. Indirect rollover money must be deposited in the new account within 60 days to avoid penalties.